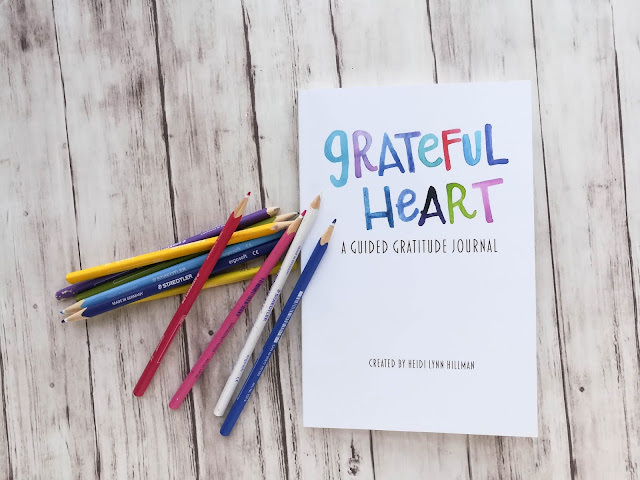 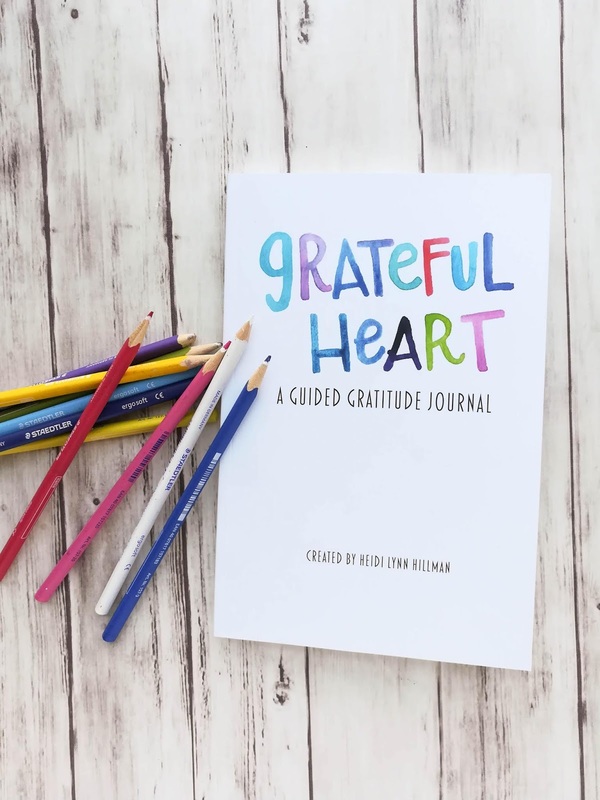 Grateful Heart: A Guided Gratitude Journal is here! 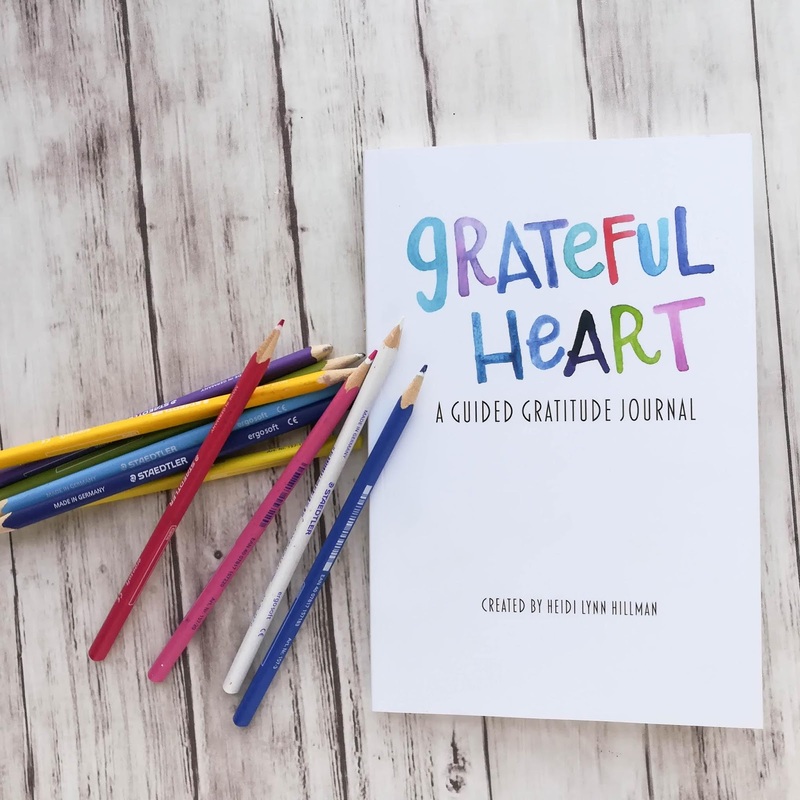 I'm so excited to share a peek into this project that is now available for purchase. Grab yours here. 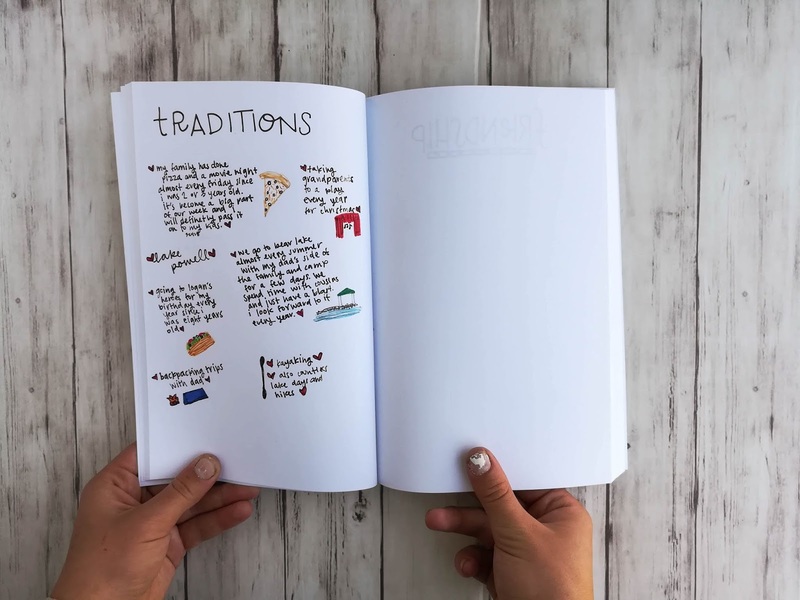 I've always kept a journal; writing through my thoughts and emotions is such an effective way for me to process them. 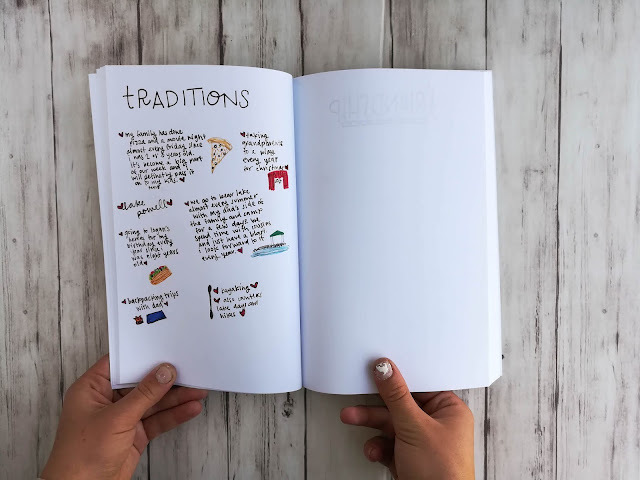 Over the years my journals have evolved, but the reason I spend time in them remains the same. An added bonus is that I love to look back through them occasionally and remember the funny things a child said, or a sweet heartfelt moment, or re-live the heartache I was feeling as I wrote and then remember how a trial was overcome. 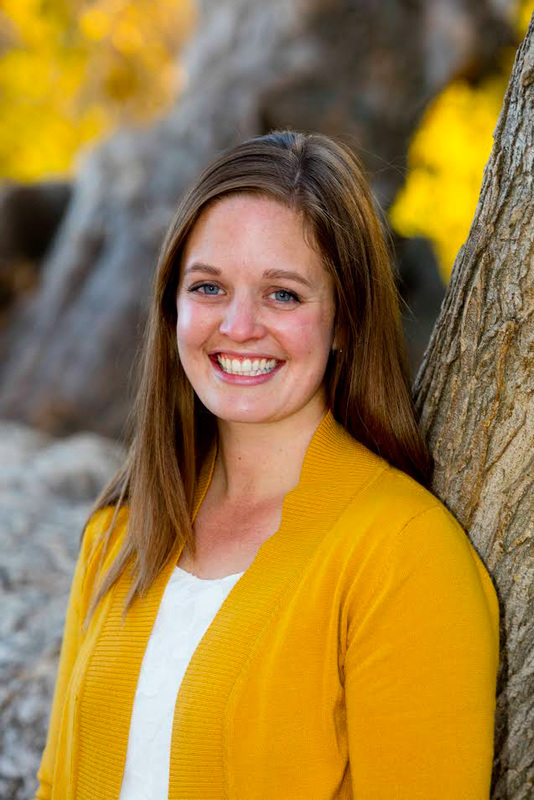 It's such a blessing to look back and see God's hand shaping my life. Whenever I share glimpses into my journals (like this travel journal, or this one) I often hear the comment, "Oh! 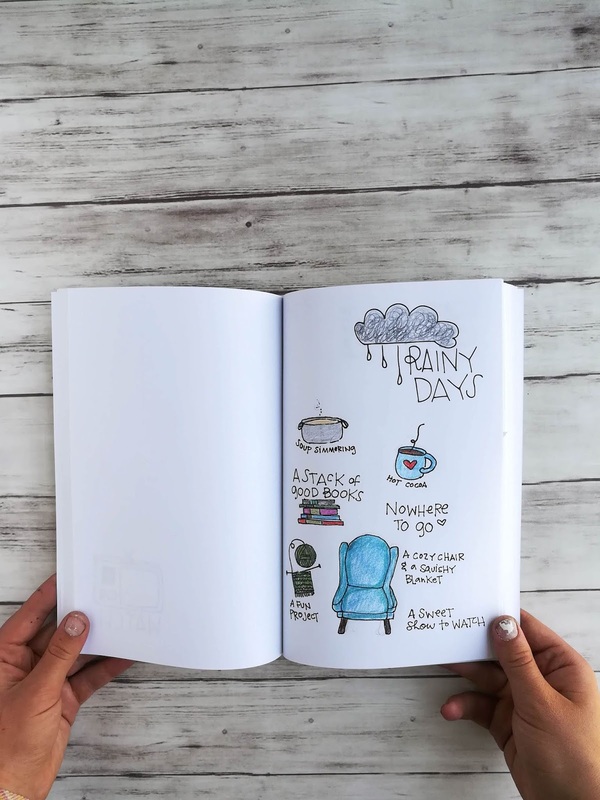 I wish my journal could look like that!" 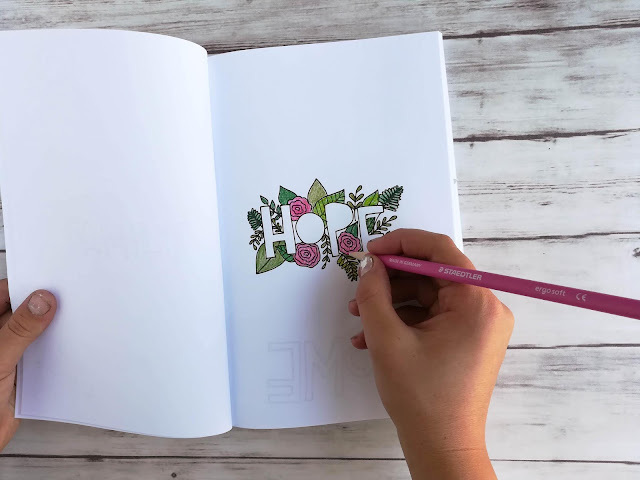 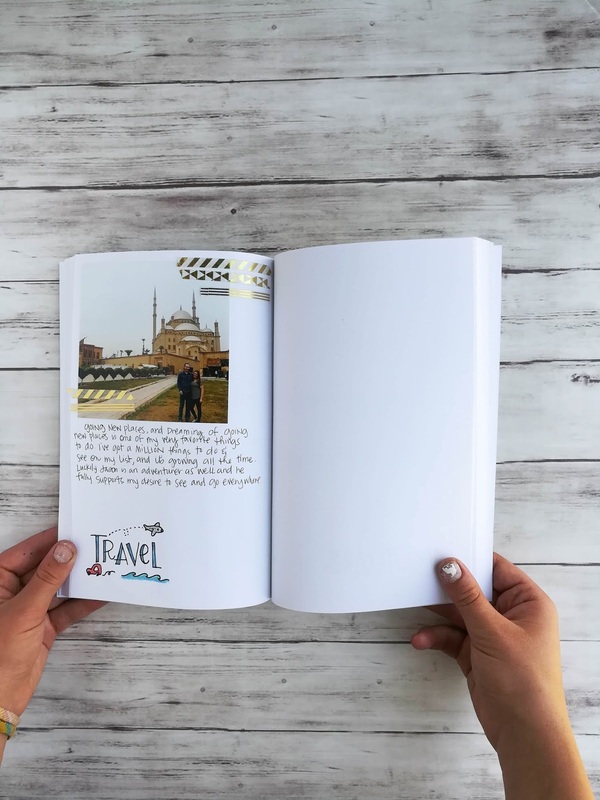 If you've ever felt that way: wanting to include doodles and ephemera in your journal, but not really sure where to begin, Grateful Heart is for you! Buy your Grateful Heart Gratitude Journal here. 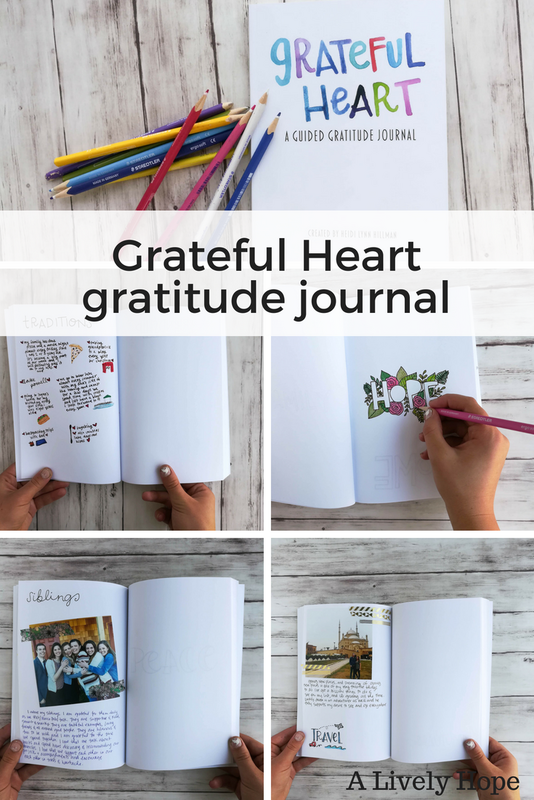 I would really, really love to see this journal in use! 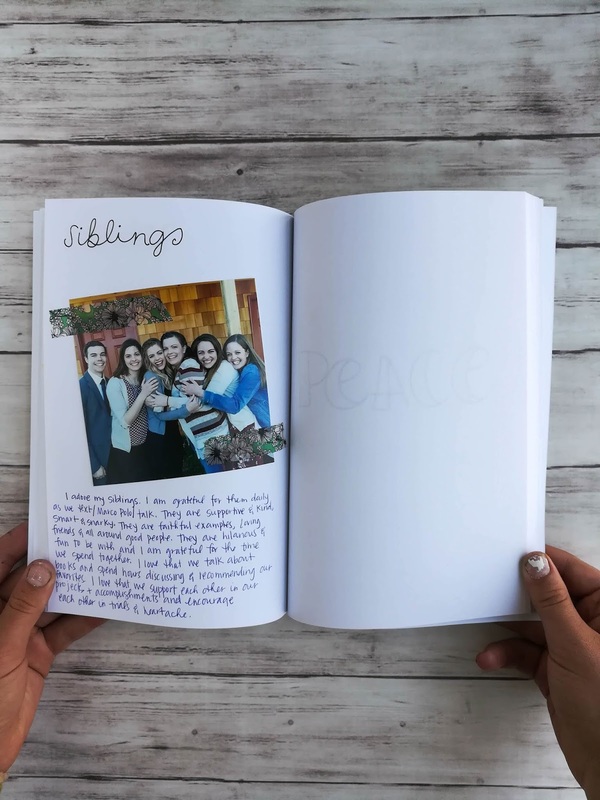 Please share a photo of your journal on Instagram and tag me!